Cosmobeaute Indonesia 2012 opens its door today! After three days of hectic build up, Cosmobeauté Indonesia is now open to welcome long awaited visitors to Jakarta Convention Centre (JCC) to view latest trends and brands. Visitors are all seen at the long queue in front of the registration counters as early as 8am. Rudy Hadisuwarno Hair and Make Up Award 2012 has kick started the stage program at the Assembly Hall Lobby. Hundreds of visitors are watching the judging of various hair and make up categories. They are much flaunted with the participants performing on the stage at different categories. Participants had showed off their skills in front of the panel judges including Rudy Hadisuwarno himself. Aside from this, Maleo Room were fully occupied by beauticians and dermatologists who are ready for the “Facial Advanced System For Your Beauty Clinic Safe and East Combination In Medical Grade” workshop conducted by Dr. Marlina Petricia, presented by PT. Radian Elok Distriversa. Participants were introduced to the new vision of the Medical Beauty Concept, which is “BDR” – Best Dermal Regeneration along with its strategies. On the other hand, the organizer of Cosmobeauté Indonesia 2012 has awarded the exhibitors with 3 best booth design awards today. 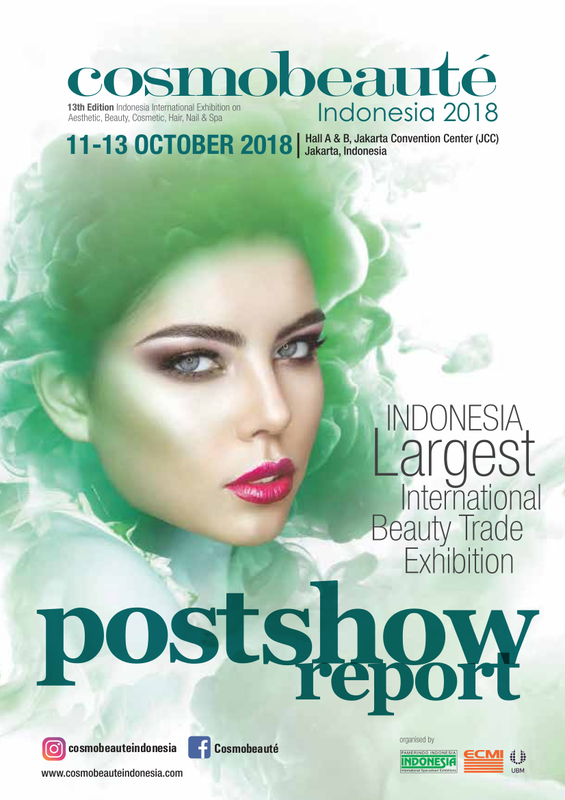 Stay tune for more tomorrow, as the organizer would like to show gratitude to the exhibitors’ great support and participation towards Cosmobeauté Indonesia 2012. Cosmobeauté Indonesia 2012, the largest beauty trade event in Indonesia at its 7th year is waiting for you to join us! Visit Jakarta Convention Centre from 21 – 23 October!